If you’re looking for a step up in the cologne department you should consider Pure Nautica. We found the scent to be a worthy choice while reviewing the new fragrance from Nautica. 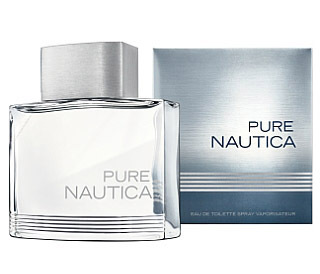 Pure Nautica is a clean and sophisticated scent for the confident man and perfect for everyday use. Even during a long and active day and well into the evening, Pure Nautica keeps you on top of your game with a lasting and meaningful scent. The Pure Nautica bottle represents the fragrance with a clean look and five horizontal lines representing the world’s five oceans. Bullz-Eye feels Pure Nautica “hits the mark” for guys who trust the Nautica brand and the men who want to take that extra step to keep the woman in their life even closer! If you haven’t been to find the perfect scent for you, give Pure Nautica a shot.